J. Hughey knows what a girl wants. Independence. One or two no-matter-what-happens friends. A smokin’ hot romance. A basic understanding of geological concepts. Huh? Ok, maybe not every girl is into geology, but J. Hughey is, and in the Yellowblown series she combines her passion for a timeless love story with her interest in geeky stuff to help Violet Perch get a life, despite an ongoing global catastrophe. Nothing wrecks the perfect semester like a super caldera. Available on Amazon, Barnes and Noble, Kobo, and iTunes. More details and bonus materials can be found on the Eruption page. All she wanted was independence, until the man she depended on left her behind. Available now on Amazon and Barnes and Noble at a discounted price. Also available on Kobo and iTunes. Exciting action, believable characters with authentic voices, as well as an interesting yet terrifying event presents this genre in a new light – instead of shades of never-ending gray without a shred of hope for the people living through it. “Rhyolite Drifts” shows the lighter side, the possibilities hidden within a grave situation. 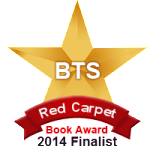 – BTS eMag – Five Stars! Yellowstone Volcano Observatory – see what scientists are monitoring and recent data. Recent earthquakes on a map! Subscribe to the volcano notification service – get an email from the USGS when something starts to blow.